oO Download Four Top All Day CounterTop Oo (Shorte.ts) Thank you! I have some doubts name the stove because english its not my main language :(. Hopes ppl gets the idea. 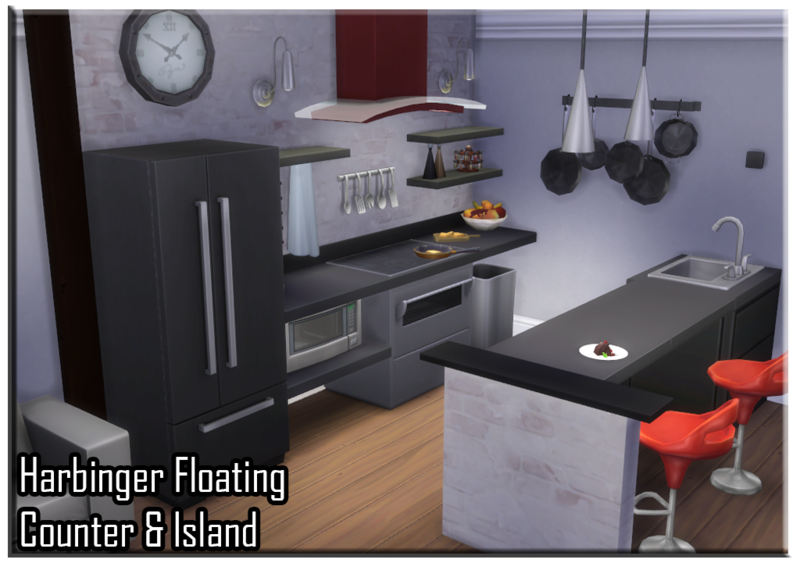 I modified EA’s stove to have something to match a little with the floating counters. 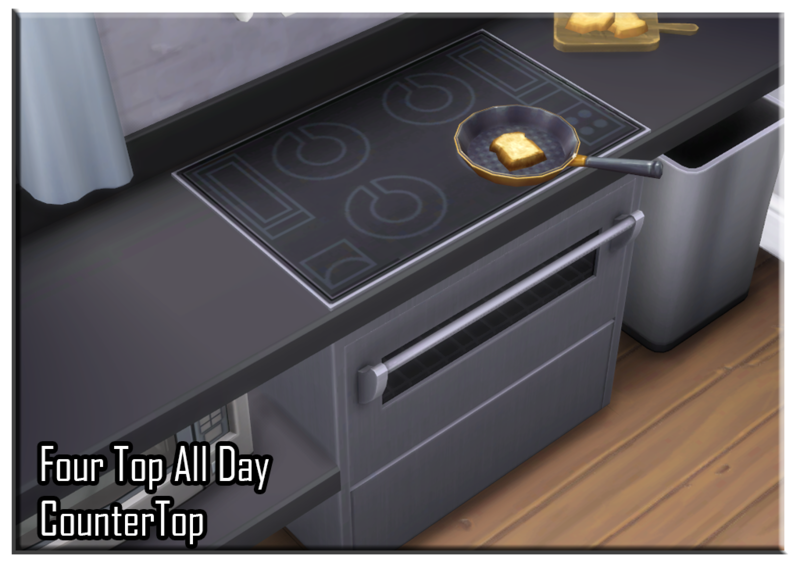 Ok, the trick to make the stove looks/works as intended its use it WITH a floating counter OR anything that don’t have footprint, if the object have footprint your sims are going to hate you and die from hunger :D.
The rest, you know from my previous floating counter. Things on lower counter works. Things under counters works too.